For those of you who've lost your way with EC (or gotten lazy). You've gotten lazy about EC. Maybe you have no idea what you're doing or when to potty. Or your baby decided to focus on other, bigger, better things for a little while. Let's face it, you probably need to get back on track. Life happens. I'm the first to admit it. But you definitely don't want to become one of those parents who comes to my website 18 months later with a 2 year old who started "great" with EC...but they let it fall right off the table. It's not hard to get back on track. As with anything, you just need to know how...and then do it. But you wouldn't be here if you already knew how. No worries - I can definitely help. Yep. And I've been there. We got off track with my daughter - but we didn't stay there for very long. Now, I know how to get back on track with EC - with great success. ...pottying your baby no longer felt like a chore that you were neglecting, but a successful priority. ...you no longer felt like an EC failure...but instead felt a tinge of success. ...you could stop feeling guilty about falling off the wagon, stop being made fun of by your MIL who "told you so," and start feeling proud of yourself for sticking with your values. Yes, you can take steps today to get back on track with EC, with a clear path, in less than one hour of instruction. 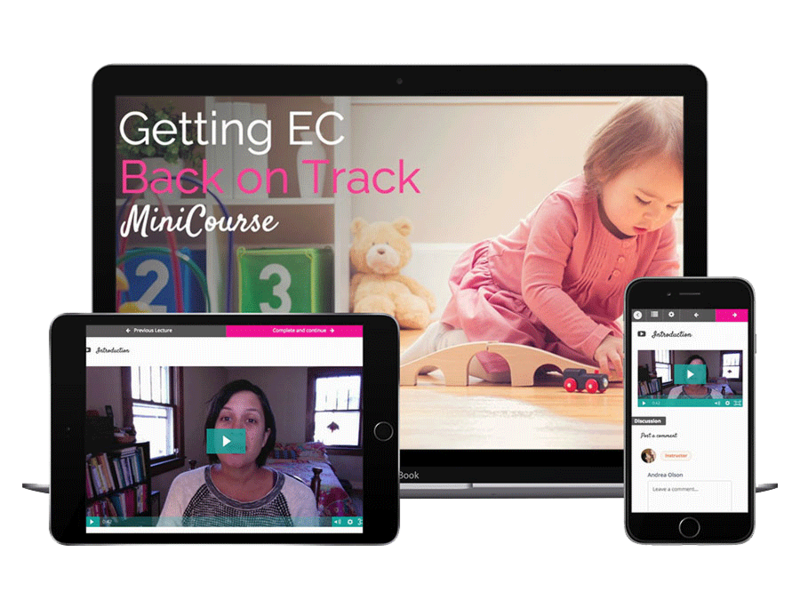 Since 2010, I've helped 10,000s of parents start EC with their little ones...and I can tell you that nearly every parent gets off track with EC at some point. "My 11 month old doesn't signal so I was mostly going with timing and when it was convenient for me...it took so much time though and I found it frustrating to sit there with him for 15 minutes or so, he'd do nothing, and then a few minutes after he'd go back to playing (and I'd go back to making the meal) then he'd go on the floor. I've stopped offering as much, and now we're totally off-track! And, I feel guilty on top of that!" Maybe you've been in Lorni's position. Or are there right now! Now for the good news. With my help, Lorni got back on track with ECing her boy, without all the pee on the floor. If reading Lorni's story sounds like a chapter out of your parenting memoir, let's get you into this course, pronto. 2. Your guilt can destroy your confidence in pottying. It's not being off-track, itself, that ruins it...everyone gets off-track at some point. What ruins it is that most parents stop doing EC completely during this time and completely throw in the towel (because they don't know how to get back in the saddle - or they think that baby won't ever forgive them for getting off track!). Yes, it is hard to get back on track if you feel guilty, and if you're in the dark about what to do. But taking the steps, TODAY, toward making this happen is easier than you'd think. I created the Getting Back on Track MiniCourse to help you re-learn your baby and get back in the saddle...all in less than an hour's time. Now, let's see what's inside. First, we'll cover what gear you need to get back on track, the mindset that will best serve you, and which receptacles work best at what stages. Next, I'll show you how to observe, how to check your logs for patterns, and how to turn that knowledge into successful potty time. Finally, we'll figure out how often we're going to EC from now on, consider when and how to ditch diapers, and look at re-committing to the whole process. By the time the hour's up, you'll be leaps and bounds further along than you've been in days (or months). Let's take a peek at the curriculum, shall we? You'll have conversations with other students, a Certified Go Diaper Free Coach or two, and occasionally me, throughout the course with our handy commenting system (read: support! )...because you don't know anyone who does EC, and certainly no one getting back on track! Getting back on track *definitely* falls into this category! Nope! 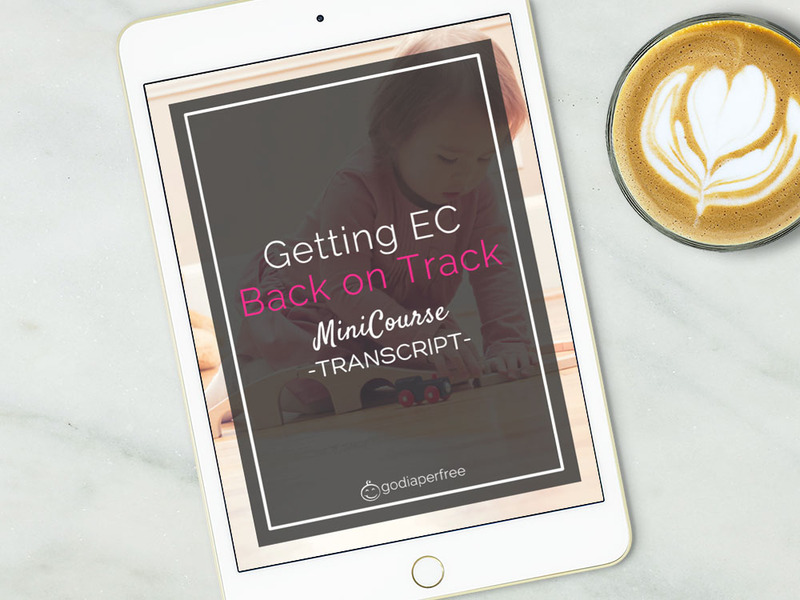 This course takes a deep-dive into getting EC back on track. My book covers the whole big picture, plus all the interlinked areas of doing EC. 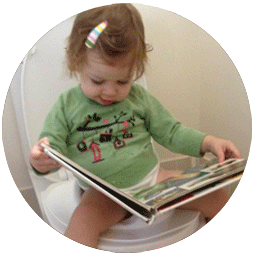 Go Diaper Free is multimedia, too, and you get a generous coupon for it when you buy any of my minicourses. I want you to be equipped, so def get the book, too! No worries - this course will give you a solid foundation on which to troubleshoot EC. In fact, it will help you troubleshoot, at any age, in the best way possible. This course includes support from me on occasion and a dedicated Certified Go Diaper Free Coach (whom I've trained, myself) in the commenting system on every lecture. You will also be able to mingle and support one another in the comments as a community - one of the best features of these courses! 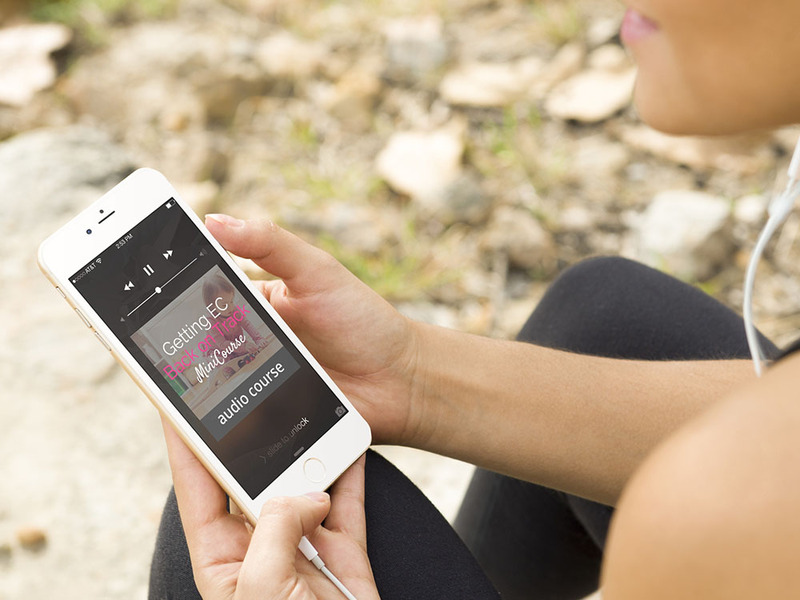 This course is all about getting EC back on track. It doesn't cover nighttime, part-time, or out and about in much detail (although these things are mentioned) - we've got other courses in the Academy for those subtopics of EC, plus courses on EC completion, potty training, birth, and much much more. This particular course is a super-specific MiniCourse - it is chock-full of all things potty pause. Enjoy! "After some time of not doing EC, we've ditched daytime diapers with my 11 month old - he was an early walker at 9 months and even since he was little bitty he hates to be wet. He took straight to the potty when I put him back on it. Now he is only wearing diapers at naptime and bedtime and he has only had 3 accidents in the past 2 weeks!"